Yesterday I wrote a blog post, which you can find here, talking about Windows Server 2019 with Citrix Apps and Desktops 7 1808 (Current Release), which received a bit of buzz online. One online protagonist (who shall remain nameless) reached out to see if Citrix Cloud Apps and Desktops Service with Windows Server 2019 worked as advertised, and was just as easy to implement. To which my thought was, I don’t see why not, Citrix Cloud is Agile, DevOps oriented, evergreen and even more leading edge in the development cycles than its on-prem brethren, it should be a snap! Then I thought to myself…Writing a Windows Server 2019 with Citrix Cloud article would seem somewhat boring or passé, what would make it more interesting? Deployment in Azure with NVIDIA graphics accelerated NV instances for GPU-intensive applications on Windows Server 2019, and throw in some single-user Windows 10 LTSC 2019 or 1809 (formerly HDX 3D Pro) for good fun. Well, that blog post may come at a later time, but for now I simply didn’t have enough time as there are a few more steps required. Microsoft has not yet released images for WS 2019 or Win 10 LTSC 2019/1809 in the Azure Marketplace, so I would need to upload custom images to my Azure subscription. For now, I’ll start with a simple blog post demonstrating just how easy it is to get Windows Server 2019 stood up, with apps and desktops published via Citrix Cloud Apps and Desktops Service. You’ll also get to see a bit of the Workspace web experience, which as many of you already know, takes the place of StoreFront for CR and LTSR traditional deployments. 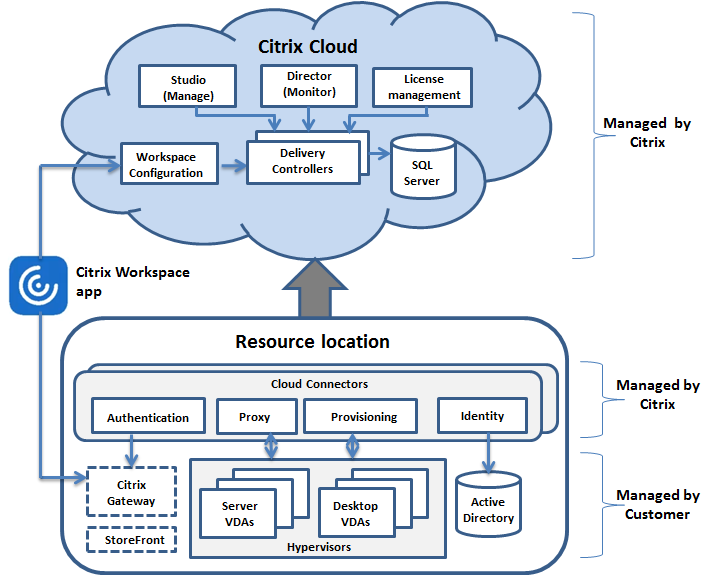 Citrix Chained Reboot Scripts, now supporting Citrix Cloud, Citrix Virtual Apps and Desktops (CVAD), and XenApp/XenDesktop 5, 6, 6.5, and 7.x! Just in time for the New Year, Citrix Chained Reboot Scripts now support Citrix Cloud and Citrix Virtual Apps and Desktops (CVAD) 7 1811! VMworld 2018 for Digital Workspace & End User Computing Pros…Survey Says?! More Technical Panel Discussions with Brian Madden, Please! And Now, The Moment You’ve Been Waiting For…Announcing My New Business Venture in Technology!